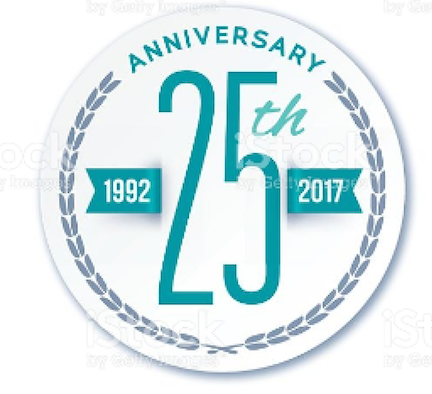 For 25 years, GEWI has been a leader in shaping the protocols and solutions now used worldwide in Intelligent Transportation Systems (ITS). In fact, ITS is a term that didn't even exist when GEWI was founded in 1992. Today, there is a lot of talk about Mobility as a Service (MaaS) and GEWI continues the evolution of the TIC software to enable this vision, as well as many other transportation solutions. 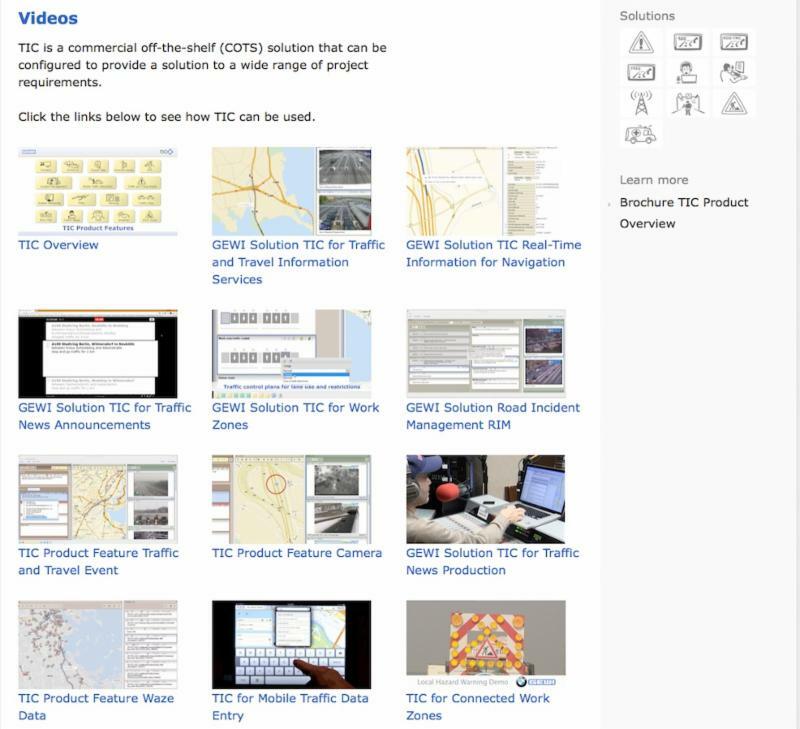 Read more about TIC for Public Transit Events in this newsletter along with the new Waze feature to report on broken traffic lights and how GEWI can create repair/response projects along with traffic information using TIC for Road Incident Management. Thomas Öhmichen has only been with GEWI for one year, but has already made significant contributions with his work on the TIC Smart Client for Web Browser, and he is featured in this issue as well as details on a heart pounding summer event enjoyed by the GEWI staff. 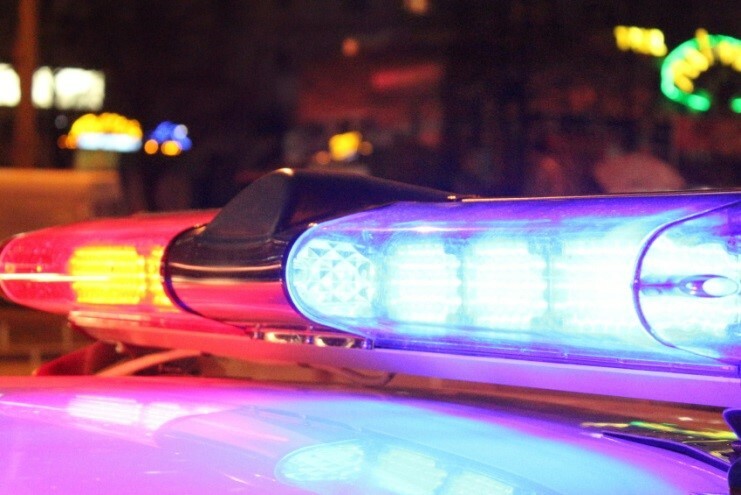 Read also about how TIC can alert you to approaching emergency vehicles with your navigation device and many more links to how TIC can be used as an off-the-shelf solution for both public and private traffic centers. In July, Waze responded to many user requests by adding a new "Broken Traffic Light" reporting feature to their mobile application. 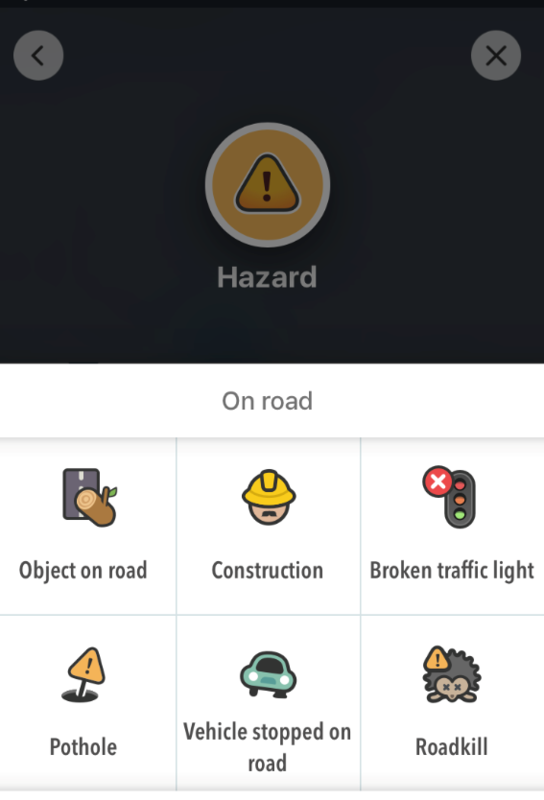 This new feature enables Waze users to report broken traffic lights, allowing public agencies to react as quickly as possible to repair these malfunctions which can create dangerous driving conditions at affected intersections. 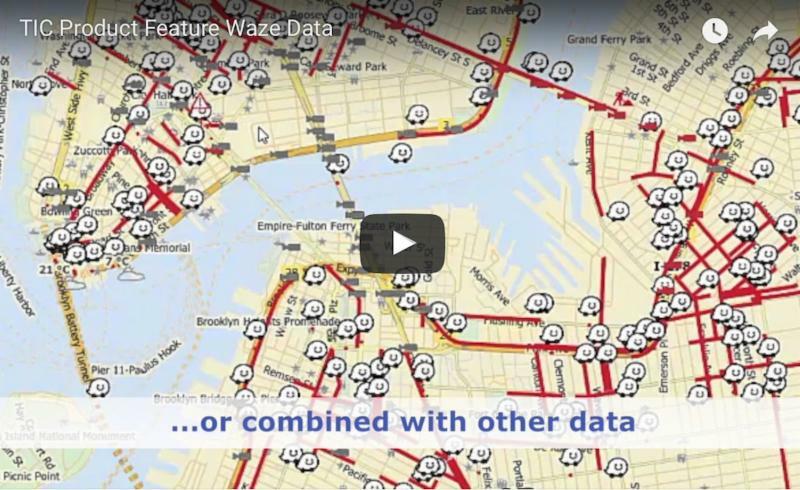 GEWI created both Collect and Distribute components earlier this year, which allow Waze Connected Citizen Program (CCP) members to easily exchange data with Waze in the Waze data format, but more importantly to take action on this new data type. Similar to how TIC can be used to create a pothole repair project, TIC can also schedule a repair/response project based on the Broken Traffic Light data now available in Waze. And, because the TIC Software is a commercial off-the-shelf (COTS) solution, it can be deployed quickly and affordably without the need for significant development on the part of the agency. For the MaaS (Mobility as a Service) market to succeed, systems need to provide users with accurate real-time information as to which mode of travel will provide the shortest journey time as well as optimal departure times. 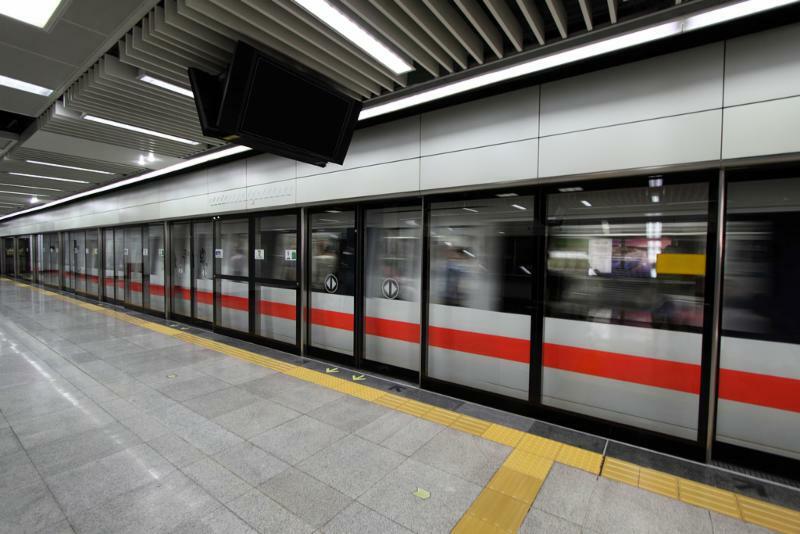 In preparation for the MaaS market, GEWI has begun to incorporate public transit information into the TIC Software product to provide the "TIC for Public Transport Events" solution. "For 20 years, TIC has been successfully used worldwide to create and manage information about abnormal situations on the roadways. The expansion to include similar information about Public Transport is a natural progression as the TIC Product continues to evolve to meet market demands" commented GEWI Founder Hagen Geppert. In addition to providing the public information about abnormal situations on Public Transport, the TIC Project feature will also enable the public agency the ability to create a project to respond to the event to solve all problems caused by the event. This process is similar to the TIC for Road Incident Management feature. TIC for Public Transport Events will include information will support the GFTS (general transit feed specifications) and NeTEx (network timetable exchange) standards. Information will be available about rail and tram networks, public transport route and trips as well as public transport facilities. This will include events such as delays, cancellations, closures, route changes and more. GEWI will be demonstrating the TIC for Public Transport Events solution this fall at the ITS World Congress in Montreal, Canada. For more information about the other commercial off-the-shelf (COTS) solutions available in TIC visit www.gewi.com. Over GEWI's 25 year history the company has held many enjoyable summertime events for employees, but by all accounts the 2017 event was the most thrilling experience yet. 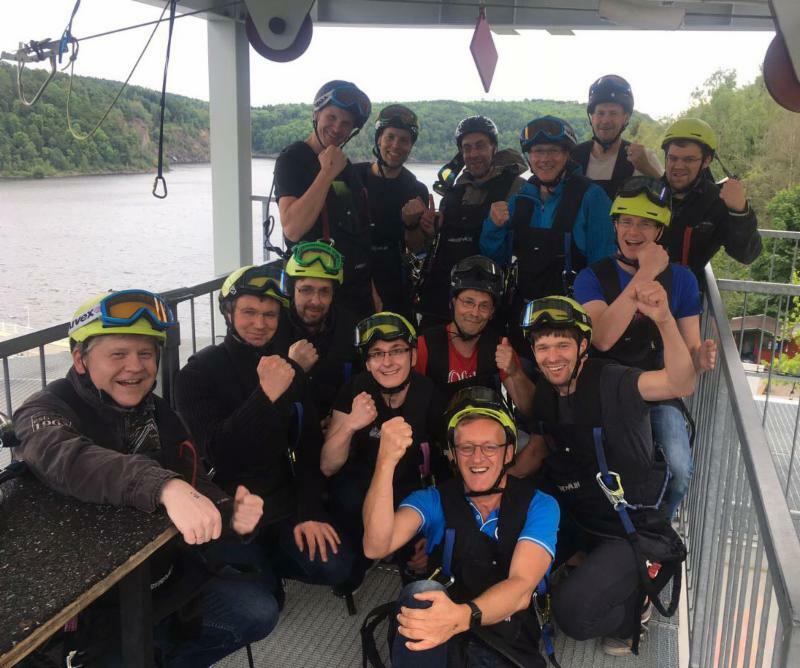 In June, GEWI employees gathered at Harzdrenalin, located in the Harz Mountains in Germany for a day of heart pounding action on the Mega Zip Line, the GigaSwing, and a hike across Titan, the longest suspension bridge in the world at 485 meters long. The Mega Zipline launches a pair of adventurous souls 120 meters above the river below, while the GigaSwing is a 75 meter drop and swing, definitely not for the faint of heart. GEWI founder Hagen Geppert has always believed that "the company that plays together, stays together". This philosophy has resulted in the average GEWI employee having a tenure of nearly 13 years with the company. Back at the GEWI main office people are still sharing stories, photos and videos from the event, but it leaves Mr. Geppert with a small problem. How to surpass the excitement of this event in Summer 2018? Responding to an emergency situation during traffic congestion causes problems for emergency vehicles worldwide. The delays caused by traffic congestion and drivers unaware of approaching police, fire and ambulance vehicles cost precious time needed by emergency responders. The TIC Product Feature "Emergency Vehicle" allows for the automatic collection of location data from emergency vehicles. This data can then be delivered to navigation devices to alert drivers of the presence of approaching emergency vehicles in their area. 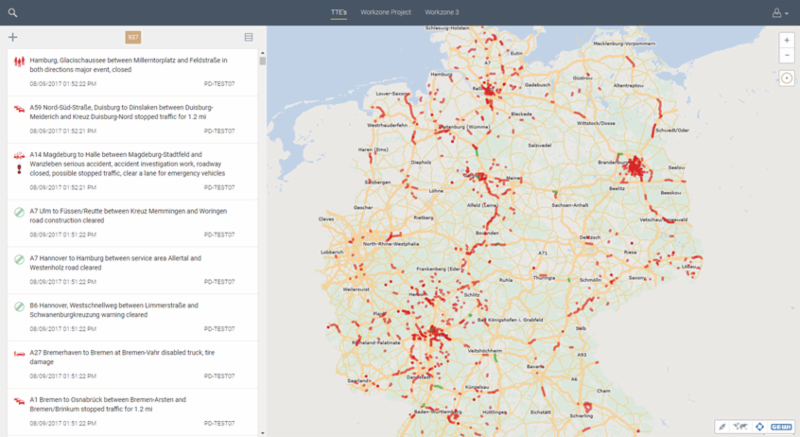 Over the past 20 years, the TIC Smart Client has continuously evolved, adding features which provide operators in Traffic Centers a tool to quickly and accurately create traffic and travel information, Work Zone and Road Incident Management projects and the many others solutions available in the TIC product. The introduction of TIC Smart Client Remote provided browser access to the TIC Smart Client so operators could work remotely using TIC in any HTML-5 web browser. In response to customer requests, GEWI has developed the latest evolution of the TIC Software product; TIC Smart Client for Web Browser. TIC Smart Client for Web Browser only requires an internet access to view traffic, work zone and work zone project information. This will be available on any browser, whether on a computer, tablet or smartphone with no software installation required. The first productive use of the TIC Smart Client for Web Browser solution will be in Q4 2017 with considered future enhancements to create data such as permit requests for construction companies. Thomas began working with GEWI in 2016 and recently joined the Product Development (PD) team as a software developer. He is responsible for developing the new TIC Smart Client for Web Browser product. With more than 12 years of experience in software development, Thomas specializes in Microsoft .Net & Web Technologies and is very much interested in current web technologies and web design trends. He graduated from Hochschule Mittweida (University of Applied Sciences) in 2004 with a Diploma degree in computer sciences. Before joining GEWI, he worked for 10 years at a company who produced software for knowledge and innovation management for the life sciences industry. 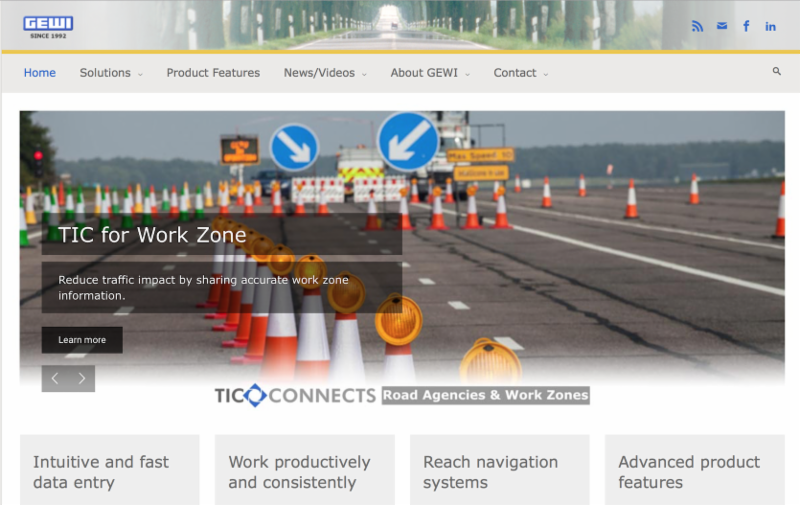 His main areas of focus at GEWI is the ongoing development of the TIC web viewer product. He speaks German, Spanish and English and is an avid photographer, runner and hiker.